Let’s get to the UK. 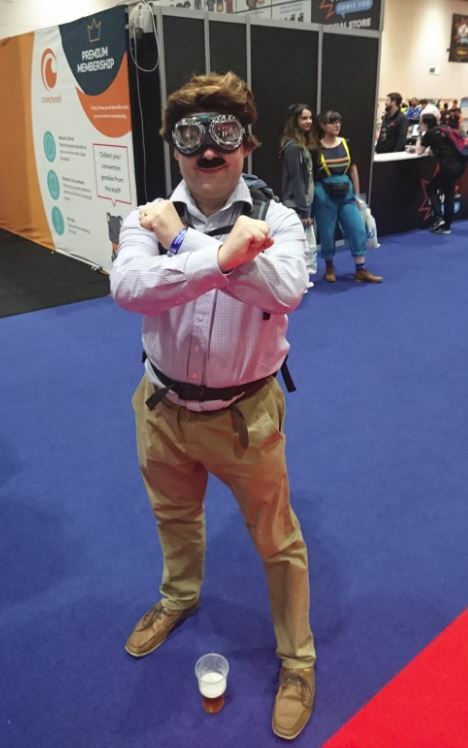 Here is a look at my Day 1 of the 2018 May MCM London Comic-con. The first ReedPop Comic-Con. With this in mind, I was sure it would be bigger and better. 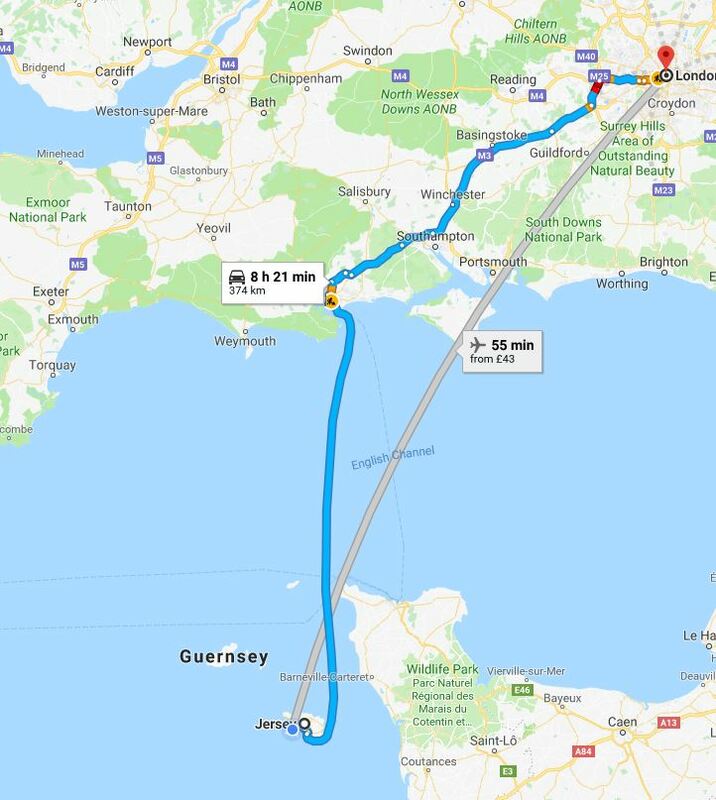 First I will show you how far I have to travel to get to an MCM. Travelling was smooth sailings and the roads were clear all the way. Everything was looking perfect as we pulled up at this May’s hotel. I usually stay at the Ibis but I was treated to a stay at Aloft at the other end of the Excel Center. I was extremely disappointed with the staff at Aloft as nobody knew what they were doing and during our booking in they had messed up some of our party’s rooms giving us things we had not booked. All in all, I will be returning to the Ibis next time. Then as I begin to get into my Day 1 cosplay I receive news from my family that my best friend had lost his battle with cancer that morning. Here he is trying to get too close to me! See you on the other side buddy! 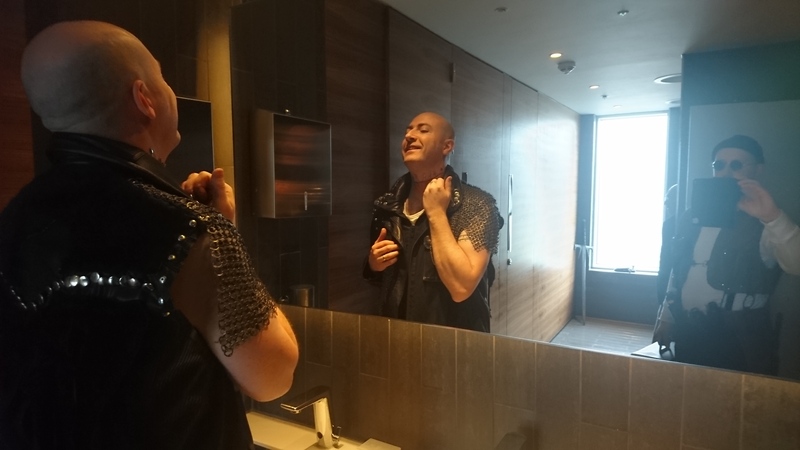 Again, like an MCM tradition, I found myself in some hotels toilets putting on my cosplay. I was Léon and Bluejam77 was The Kurgan (Undercover) from Highlander. We entered the MCM and found the queue moving quickly and smoothly. I reached weapons check and handed over my resin film prop gun. The guy then heavy-handed the thing snapping of the trigger. With a smile, he handed over my £50 (now damaged) replica. I think the staff need to realise that cosplayers spend a lot of money on their costumes and they should have more respect for our art. 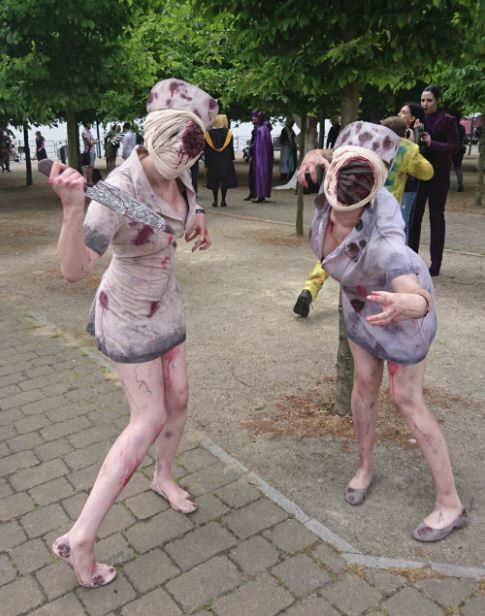 I’ve always enjoyed getting my cosplay photo at the MCM letters. I did find it strange that the hashtag #MCMLetters never took off. Still, I use the hashtag and get that photo on my Instagram. I’m not sure if I like the new MCM letters. You can’t move them, sit on them and due to the hight, the only way you can get a decent picture is if you stand in front of them. The dark background is also uninviting. I walked the first hall and enjoyed getting the odd photo taken by the public! If you have a photo or see any of my Léon please, as usual, contact me on here or my facebook page so I can enjoy them! Outside I got filmed for a music video and had some photos taken at the famous concrete slabs and the small green trees. I have been searching Instagram for pictures but due to Instagram’s popularity growing and the new multiple pictures per post feature, I have been having issues locating my cosplays. Here is a picture, taken by my father. I headed back inside to play some games and see whats going on. 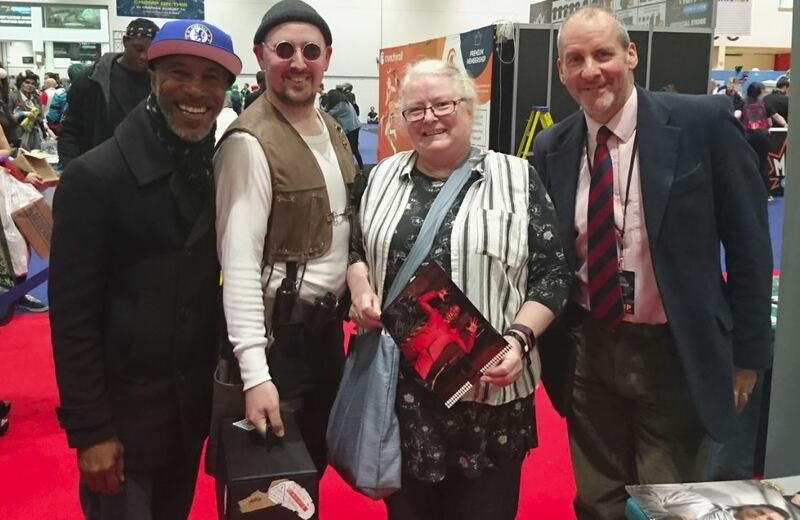 After a walkabout and meeting up with my mother who was at the con I found myself talking with Chris Barrie and Danny John-Jules from Red Dwarf. As I have said in previous blogs, what is an MCM without the Red Dwarf cast! 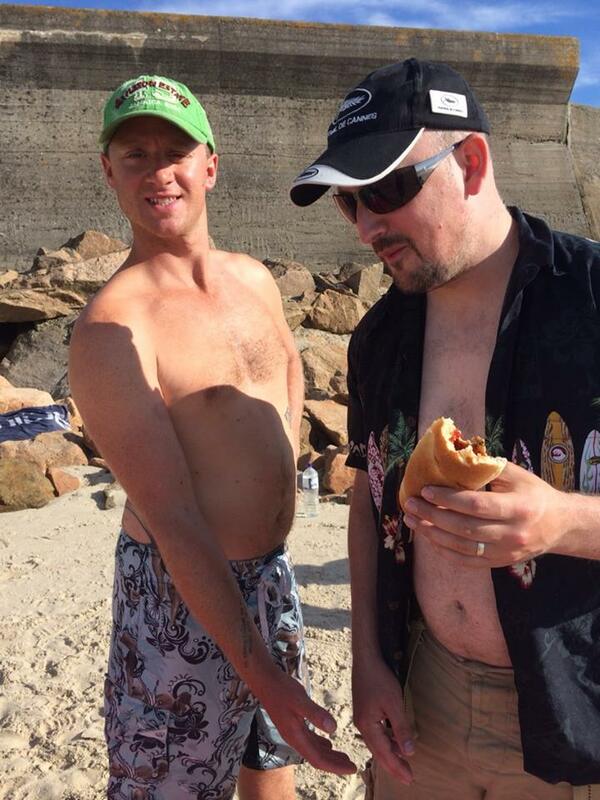 I mentioned CICon, Jerseys first pop culture even in the channel islands that I’m trying to get put together with a group of like-minded people. Chris Barrie, ‘Rimmer’ from the cult Channel 4 TV show was already aware of the event and is very interested in seeing an event in Jersey. I passed him my business card and got a fun photo with them. Pictured – Danny John-Jules, Myself, my Mother and Chris Barrie. I played the Jack Ryan game and discovered my designation would be an Agent Level 1 and sat in a Jurassic world pod for a fun photo. I did try to get Michael Biehn’s autograph (Hicks from Aliens, my first real cosplay) but he never showed up at his desk at the time shown on the wall. I was very disappointed as if you wish to see someone, Friday is the best day as the other days are extremely busy. But then this guy cheered me up! I did not see any MCM staff during the day, either they were hidden very well or they were understaffed. I did not see the usual MCM media crew taking photos or compiling the MCM video. I could not find the MCM program. 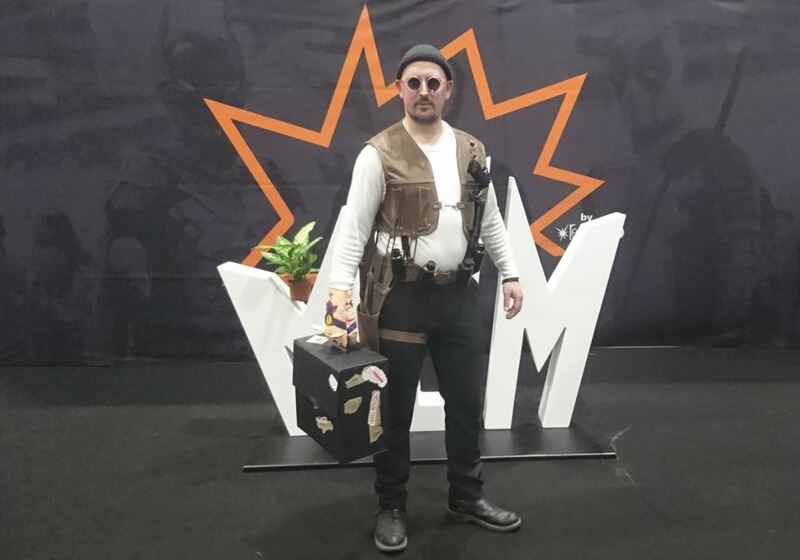 The MCM app had no map just a message saying “Coming soon” and the Wi-Fi was not great so for someone with no data (Roaming charges) I felt disconnected from the social media side. This con was feeling different. I could see the guest were great and I’m hoping ReedPop can do something amazing but after day 1 I was starting to wonder if they were up for the task. 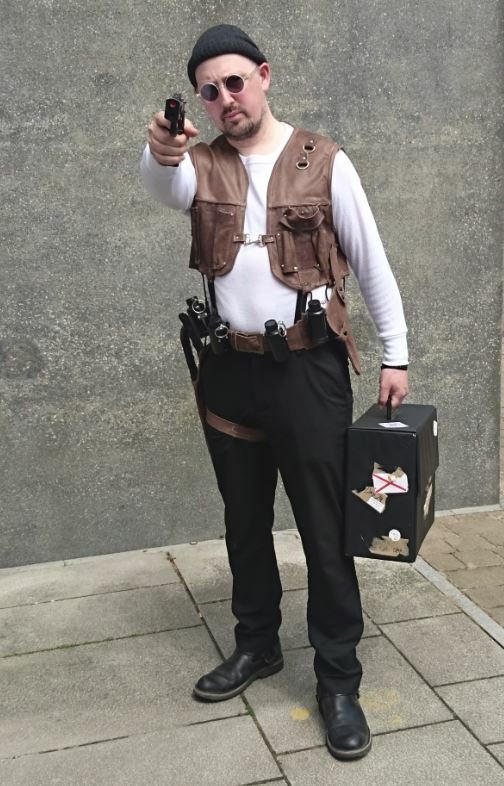 This entry was posted in CONVENTIONS, COSPLAYS and tagged Comic-Com, leon, MCM, mcmLDN18, ReedPop. Bookmark the permalink.